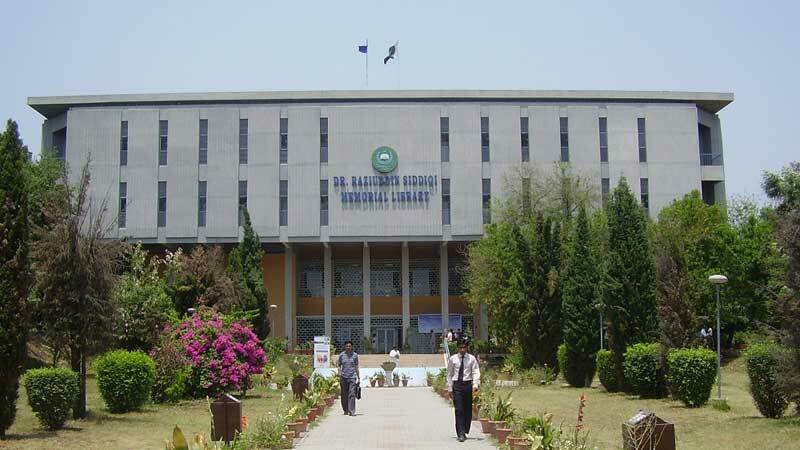 The annual budget of 2018-2019 of Quaid-i-Azam University (QAU) is going to be approved today (Thursday) by the apex decision making body Syndicate after a delay of almost six months at a time when the university itself is facing an annual deficit of Rs 493.85 million. Surprising, the top ranked varsity in the country was spending its budget without approval from relevant forums. According to sources, the QAU has a total of Rs 2,838.43 million expenditures for the year while its annual income remains Rs 2,344 million. The documents said that the main source of the varsity income was student fees that was Rs 889.15 million of the last fiscal year which included their tuition fees, hostel fees and all other forms of dues being paid by the students. The university expenditures included mainly the faculty salary, Tenure Track System faculty salary or gratuity, establishment charges and other non-salary expenditures. According to sources, the university continued to using budget without approval from the Finance & Planning Committee (F&PC) and Syndicate. As per rules, the budget should be approved first from F&PB and then it should be wetted from Syndicate which is the ultimate supreme entity of the university. The sources said that a few days ago, the F&PC gave an official nod to the budget. “From June last year to now, the administration used the money totally beyond the rules,” said a senior official of the varsity adding that the budget should have been approved soon after June. “To spend even a single penny without consent from Syndicate and F&PC was totally in violation of rules,” he recalled. The documents stated that after approval from the F&PC, now the budget is put on the agenda for a review of Syndicate the meeting of which is scheduled today. The official said that it is very regretting that the budget of last year is going to wet now when the mini-budget for new fiscal year has also been announced. He said that the delay occurred because of QAU former vice chancellor Dr Javed Ashraf’s mismanagement and some personal grudges with a few officials who were a part of these bodies. A senior official in the administration on condition of anonymity said that such irregular and illegal practice was done before the tenure of the incumbent VC Dr Muhammad Ali Syed. He disclosed that soon after taking charge, Dr Ali directed to put the matter on agenda of the Syndicate meeting for a formal approval. Moreover, the university has made more than 50 percent enrolment on self-finance basis in Bachelor of Science (BS) programmes last year. The administration increased the number of self-financed seats, which is sheer discrimination with eligible and genius students who could not get admission due to lack of funds. As per the statistics, the university displayed a total of 1,328 names, including 670 who had applied on self-finance basis, in the first merit list for various BS programmes in over 20 different categories, including chemistry, computer sciences, earth sciences, electronics, information technology, mathematics, physics, statistics, pharmacy, management sciences, anthropology, sociology, defence and strategic studies, economics, department of history, politics and international relations, gender studies, psychology and Pakistan studies. The first list stated that the university enrolled 99 students in BS Archaeology programme. Of them 38 were on self-finance basis. In bio-chemistry, 50 candidates were declared successful and among them 23 had applied on self-finance basis. Similarly, 28 students out of total 55 made it to the first merit list for BS Bio-information. Almost same is the ratio of self-finance seats in other categories, including BS biotechnology, botany, chemistry, electronics, international relations, microbiology, political science and environment science programmes.